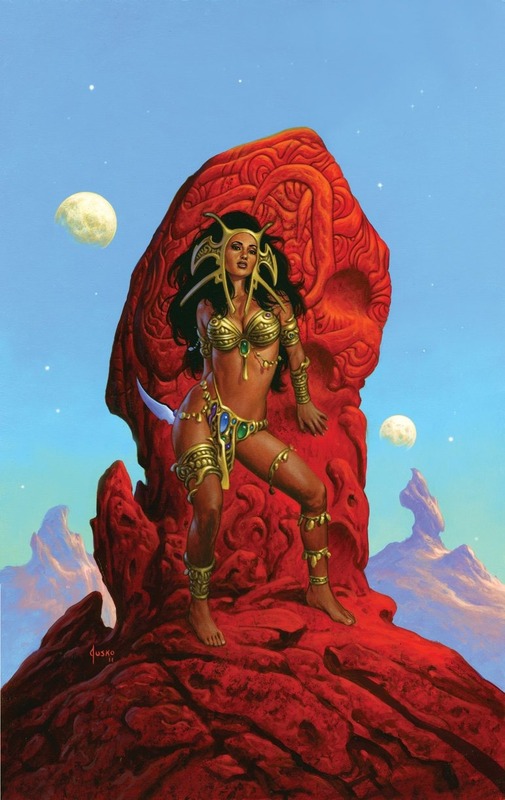 Joe Jusko created spectacular cover art for the Dejah Thoris series published for Dynamite Comics. The series was based on the characters from Edgar Rice Burroughs' John Carter of Mars series. Presented here is the Joe Jusko artwork as well as images showing the Dynamite covers. 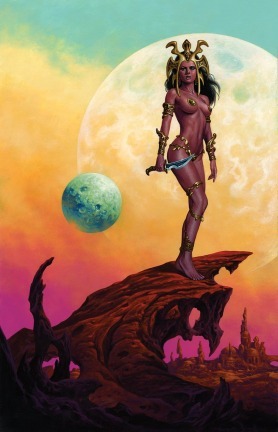 The art images may be clicked to higher resolution.